Runes dates back to an age of over 2200 years, but there is evidence that existed long before. Viking runes are among the oldest in the Nordic European source and in its origin were used as alphabet. Over time were modified to get to what is more commonly known today, the Viking runes consisting of 24 symbols. These symbols are a representation of the Vikings wisdom, since in its symbolism is represented the knowledge and connection with hereafter. The gods speak through the runes and through them leave their message, which is to be interpreted by the oracle and give it the correct meaning for each issue. The oracle of the runes of love gives us the opportunity to somehow establish direct contact with the self. Actually it’s not a tool to know the future, rather advise us so we can understand more clearly and how to focus our energy when dealing with concerns and obstacles found on our path of life. This sign suggests you objectively assess the relationship you have or want, without being romantic excesses, as they could be obstacles in the moments that you live. The announcement is not about failure in love, but over a period of emotional intensity. If you target someone avoid the mistake which could drag the unbridled passion. In this case the rune predicts somewhat somber moments for love. Do not venture into new relationships, at least not yet. Pay attention to what you already have but don’t believe that what’s safe, maintains alone. Above all, Fehu reminds you to be sincere and honest in your behavior as a couple, without giving up who you are. Attention to new conquests, it might not be entirely good. The rune assures the arrival of the carnal and emotional passion. Despite this, be careful because the advent of someone that triggers in you a feeling of this magnitude can takes you to live a relationship more sexual than romantic, which could go as quickly as it came. Keep this in mind when deciding, as it will avoid you a lot of suffering. It is time to pay attention to issues relating to sexual and reproductive health, Kenaz message is a warning that must be very careful and use caution. The rune also bodes stress that could affect your health and the risk that, in case of enkindle the fire of love in the wrong way, you run the risk of throwing away something that might be great for your life. The Wunjo Rune manifests to announce the arrival of moments of passion and discovery of new values and feelings, which could end in marriage or commitments of more serious nature. In addition, it also marks fellowship and harmony with people around you, whether friends or colleagues, among whom could be your new partner. It is a good time to smooth things over and make peace with your loved ones. Wunjo The rune symbol warns you about the arrival of an existential crisis moment. You probably feel a little lost without clear goals in your future, if so, you could use go back and remember your childhood to try to regain the enthusiasm and innocence that filled your life at that time. The last thing you should do is find new seductions or blatant emotional or sexual displays. Leave that to the movie stars. Sentimental, loving and social issues, this rune tells you about the need to be honest. You must tell things as they are and how you’re feeling in the moment they occur. Pay attention the way you do things, because tactless could backfire. If you had problems with your partner recently, now it is when you must put aside jealousy and unfounded fears. The rune advises a change of attitude, it is time to leave behind positions that sometimes even you understand. Listen when someone talks to you and don’t evade reality even if it is painful. If you want to succeed in love you must understand that you’re not always right. Keep ways, be diplomatic, because only then you will get success in your relationship. Someone with a strong need for leadership is about to come into your life, stay tuned and not get sway by their treatment or their approaching, since it can be a bit rough. Enjoy the time with this person but don’t hold illusions. During the following days selfishness could emerge in you and become contempt for others. Due to the influence of the sun, it is likely that new projects are approaching. If you stay away from the mirages you can make this season one of the most successful in the emotional level. The manifestation of this symbol can bring with it a drop in energy and appreciation you have for yourself. Broadly speaking it is not your personal power will collapse, but the strength you could feel that supported you, it will. For this reason, you should not be surprised if you suddenly feel that there is nothing new on the horizon of your love life or if things go wrong with the people around you. Do not worry, it’s just a stage and to overcome it you can use leisure and entertainment that avoid you from falling into a depression. This rune advised to bring up our fraternal feelings, it has a tendency burdened to the familiar. Remember at all times that the father archetype is linked to the initiative, strength and creating new horizons, while the maternal strength connotes reflexive protection. The prediction of Mannaz is clear: an ideal time to expand your friends circle, seductions, conquests and couples, its coming. There will be changes, but nothing that can affect you deeply. Today more than ever you should contact your humanitarian spirit, don’t lose the horizon as far as what want to live, that is, don’t get influenced by the environment and circumstances around you. It is important to know that to be successful in certain conquests may actually be a mirage that ultimately may do more harm than good. You can be vulnerable to deception if you can’t accurately distinguish between games and reality. Be careful, more than one person could hurt your heart. Dagaz is a constructive and comforting rune, assures the arrival of successes, victories and much joy. The symbol says you have the ability to understand people as equals, which will benefit you in your relationships and your social environment. Sure eventually you find the benefit of all that you expected. The joy is coming and to live it fully you have to learn to focus on your present. The rune in this position predicts a gloomy melancholy period and even in which you will come to think that nobody loves you, because your loving horizon does not seem very full. Vivid memories of times and periods that were better can lead you to a state of deep melancholy. Note that the path of love is not full of flowers, at least now, it sees a little prickly. Try to put aside the intellect and get moving. Say what you think, express the love you feel but do not take too long to explain. The best thing to do now is to deliver what we have promised and keep walking, leaving your heart do the talking. Do not try to justify what you feel because you run the risk of spoiling big moments. Evaluates the speed at which you move to not spoil what you have. Remember that not everyone can cope just as you in the loving aspects and therefore, must be patient. Don’t expect from others what you will never get: to operate at your same rate. The rune said you could live a crisis for not knowing to appreciate what love is giving you. This is the symbol of the crossroads in terms of emotional relationships. Pay attention to your surroundings as Rune augurs very interesting moments in which people with similar vibrations to yours will be closer to your life. Try to deepen, because as well as great friends, love could come in case you have no partner. Passionate and very romantic times, will come. Inverted Gebo alerts you to possible misunderstandings, relationships of convenience and deceit. As for new couples, try not to act as judge, because you might get in trouble when establishing value judgments about the behavior of others. At least for now, the best remedy is to keep a low profile to avoid disappointment. Try not to develop new relationships and let time pass in case you’re suffering a breakup. Tiwaz talks about love in a more complex situations than normal level. Although this might be a good time to go look for your next conquest, you must know that things will not flow as well as you want to. No kind of quiet or routine relationship is seen for now. The message of the rune with respect to others is clear: beware of envy or false expectations that you can generate in other people hearts, they are dangerous. The scene is not easy when the Tiwaz rune is reversed. You must cultivate patience with your partner at this stage, that at best case should be as smooth as possible for you. Be cautious if you plan to look for a new conquest. Perseverance is a vital tool for this period that you are about to begin, don’t be disappointed at the first opportunity. Now it is when you trust your intuition and understand that outward beauty and exaggerated passion can sometimes lead you to delusion. The manifestation of Ingwaz indicates that may appear in your life some ghosts of the past personified by people close to you. For this reason, it’s possible to experience hatred and resentment that you cannot explain and directly affect your relationships. Try to calm and get some awareness of your body and your mind. Understand that punishing you is not the solution to any conflict in your life and affects the image that others have of you. In emotional issues, this rune is more related to friendship than love. Ingwaz inverted recommends to get closer to your friends, look for them, procure and try to have them around, it is almost certain that in the near future you will need their presence. Don’t turn a deaf ear to your friends and stay alert to not confuse friendship with love, because you could muddy it all. Although you feel the loving horizon becomes ever narrower, try to be careful, do not rush and avoid making impulsive decisions. You might feel absorbed by routine and monotony, be patient. Be aware of those around you because they may give you a pleasant surprise in the loving matter. Now is the ideal time for you to sit and think about the mistakes you made in the past, you will learn from them and move forward. Try to change those habits that you know cause problems and make you lose perspective, this way you can open a new door in your loving life. Look after your health, especially your stomach. This runic symbol it’s a wake-up call about the importance of the core of the family structure. Monotony and lack of new things on your horizon can sulk you and cause you trouble, despite this, don’t worry because with a little care and will from you, everything about love and affection will change for good. Be strong and seeks comprehension and understanding of the people around you to reconcile the environment in which you are. The inverted manifestation of Othala rune indicates a time of loneliness, even if you currently have a stable relationship. The feeling you’re about to experience will make you believe that people around don’t notes you, just as if you were invisible to their eyes and senses. Difficult time for established couples that will make them think there is not enough human quality to understand or share things together. If the situation continues like this, you both will tend to want to share your life with another person. In love affairs, this rune is warning us of the arrival of moments of particular interest with your loved ones, either friends, family or partner. The sign encourages you to finding and opening new paths to be traveled in company. Good time for weddings and changes and modifications at home, if you’re already married. Don’t be surprised if soon you have to set the date of your marriage. 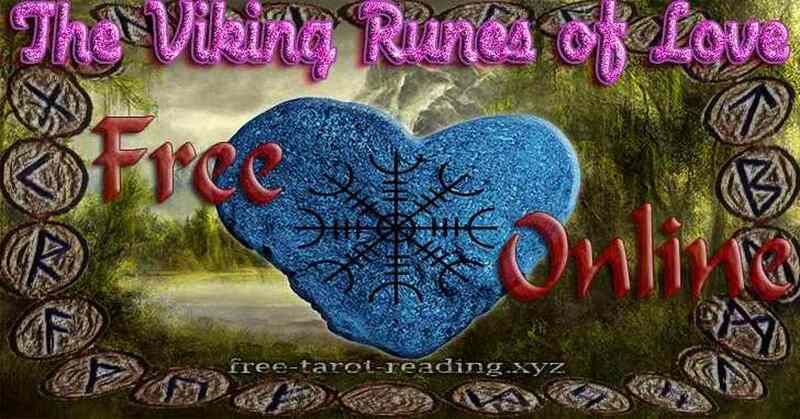 On this occasion, the runic sign advises to not make drastic changes in terms of apparently well-established love affairs, especially if we are talking about life partnerships or marriages. If you wanted to know how good time is to negotiate rough and difficult issues, the answer is blunt: do not do it, this can lead you to a big disappointment. Wait a bit, at least now, the best option is to leave things as they are, to not adversely alter the established order. This runic symbol warns of serious compromises, home, house and strengthening relationships. You must consider that this doesn’t mean the advent of new romances or sexual passion, but the emotional settlement. Don’t think this is tedious or boring, quite the contrary, this is a great moment. Uruz at this time is a wake-up call. The rune is asking you to put some order in your daily life and push aside the adventures. It is not the best time for you to give advice or even for you to receive it, because although they may be well-intentioned, nothing guarantees that are adequate. Analyzes what you live to appreciate your situation before beginning new love projects. This archetype tells us of the need to feel loved, but also how important it is to express one’s feelings toward others. It tells also, the person who loves you, needs to know. The reading of this rune is very important and can be interpreted as follows: who consults is the one who decides how and in which way will live the love. It’s time to let go a bit and let others help you to be able to make new distractions and projects. When this sign lies with someone very active it can be a bad omen, so the consultant should attempt to undock the past and wait a bit to start new relationships. Thurisaz inverted tells us: watch your environment, re-examine your friends and don’t believe everything you see or everything they tell you. Congratulations! This rune will announce times of great vitality, strength and sexual passion. In addition, it also symbolizes the inner purity and sense of honor. Be prepared to show the tenderness of your being and also the strength and courage you have, so you can avoid people playing with your feelings. Elhaz invites you to sincerity, open your heart only to release your emotions, and don’t do it for other purposes or reasons. In case you don’t have a partner, this sign encourages you to peace, maturation of ideas and reflection, especially if you’re about to jump into trying a new conquest. This rune indicates that a cluster of good news, successes, feelings and life gifts related to the love that’s coming. Furthermore, it tells you, you can become an excellent counselor of other people and help them successfully geared towards in the world of love. Many people will knock at your door and, among them, may be who bring with it true love. The next is a period of great sensitivity and objectivity that can help you to become a master in the art of counsel and, even better, in love. The rune, portends you a bad time to make important decisions. So wait, because probably already has been decided and you will have to comply without question. Pay attention as you could even lose your partner. There will be nervous moments where you will have the need to move upstream for attention and want to excel in certain situations. Ansuz, announces you the arrival of something big, and with arrival we mean that someone important will come to your life, so you should avoid going in search. The advice is more than clear: Keep your life open to others and wait, now they come for you. This rune symbolizes the journey and movement. Don’t be afraid to follow your impulses as long as they are consistent. Keep walking, because this is a good time to deepen your relationship and reflect on a possible change of parameters. If you are expecting a dull, quiet and routine partner, Raidho’s magic will handle to bring you just the opposite. If it’s inverted in a question about love, Raidho tells you that all is not as well established in your life as you thought. It is time to reflect, evaluate, and discuss what you have inside your character, opinions, desires and dreams. Stay calm because it is not a harbinger of existential crisis but analysis of life to move forward. In case you have partner and you want to know something about the situation you’re living, the message of the rune is good, there are high chances that things will go smoothly. If your query is about a possible reunion, the answer is also yes. Just remember to keep your eyes open and remember that things are always different, the past is behind us. On the other hand, if the question is regarding the chances you have of finding love, the matter changes, because what you’re experiencing is more like worship than love. The concept of a couple it glimpses distant. The manifestation of this rune is a good omen. It is as if suddenly appeared a talisman of good luck or protection provided to guide you through the path of love. Rejoice, because everything that has to do with love looks good. Chance, luck and success are on your side at this moment, open your eyes because Cupid can knock on your door soon. If you’re already in a relationship, the rune tells you that everything will be fruitful and you’ll live never expected things. Although you are immersed in chaos at this moment of your life, you should not let it take you to a depressive circle. To do this, you must seek and value at all times the importance of the spirit. If you don’t keep a loving relationship, this is the time to start acting in the field of seduction. Focus more on the visual than verbal questions, that they see you and admire you. Everything indicates that you are about to find the partner you are looking for. If you’re with someone, try a change to refresh the relationship, such as a trip or a new activity. In emotional issues, Laguz warns of a possible betrayal by someone you have in high esteem, possibly a person from your childhood that for now will be seen more than it should. Be careful to choose people who to trust, it could be among them the traitor we said. Leave aside the insecurities and put the record straight. If you decided to end your relationship, it’s time to get on with it. The omen that brings Eihwaz is: unforgettable moments are near, full of passion, romance and tenderness that will lead to poetic and harmonious situations. Although everything seems wonderful, it is advisable that you keep prudence and decorum. Eihwaz is not talking about the formation of new couples or resolving other people’s conflicts, if you already have a relationship, actually it’s indicating you the arrival of a stop along the way, a kind of oasis that comes to you for enjoy it carefree. It is time to pay close attention to the environment and be careful because something disastrous may be near you. If you are having a relationship, try to concentrate on it and not give in to any temptation, however strong they may be. Pay attention to the details, because you run the risk of getting caught up in the impulse and fall into infidelity which you may regret later. Be wary of people who say willing to look after your interests, they may be plotting something against you. Stability and maturity, is one of the symbols of the advantages that exist between man and woman and strength from the union of both. Have patience if something seems to be delayed because this delay probably suits our personal interests to effectively complete our project. Good time for new contracts and work or personal alliances. No interpretation when inverted, try again with another spread. We must wait patiently. Everything happens as planned at the most propitious and appropriate time. Now, a matter can be frozen and paralyzed, but all turn to right move if we don’t fall into absurd hurry caused by nervousness and anxiety. There may be betrayals that have interrupted our project, but this rune invites you to play chess, cautiously, with logic and analysis to meditate on the thinking that your opponent has and to anticipate his move in some cases and know to wait your moment, your best moment in others: the goal is to win the game with coldness and forcefulness. It’s the rune which means “ice”. In the Nordic countries this ice was misleading, you could be walking with apparent security on an apparently solid ground, but suddenly, and in a completely treacherous manner, this could crack open under your feet. You would perish going ‘down under water and ice would close on you, keeping the secret. Moreover, the ice can also be very tough and drill the hull of a ship and sink it when hitting this against it. The ice could be you, or it can be the others, you choose.